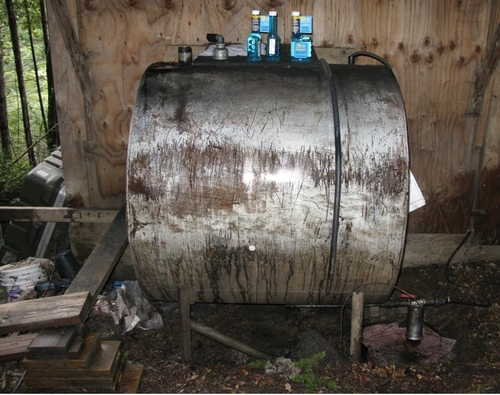 There are a several types of water pollution associated with cannabis farming in the Eel River watershed. See slide show Preventing a Death by 1,000 Cuts -How Our Daily Activities Can Affect Water Quality and Fish Habitat. 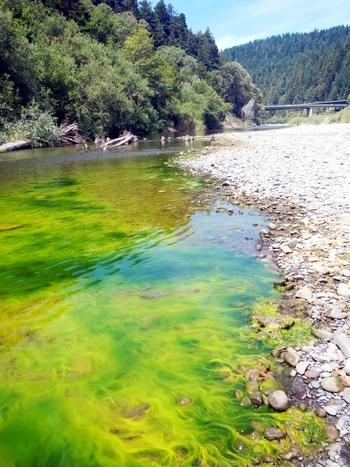 Some may be lethal to aquatic life while others can have downstream effects, such as stimulating toxic blue-green algae or cyanobacteria blooms in the South Fork Eel River. There are methods to prevent discharge of pollutants, including proper set backs from streams, implementing remediation measures, and proper handling of hazardous materials. With a good farm plan, not only will you pollute less, you will increase the water and nutrients available to your garden. 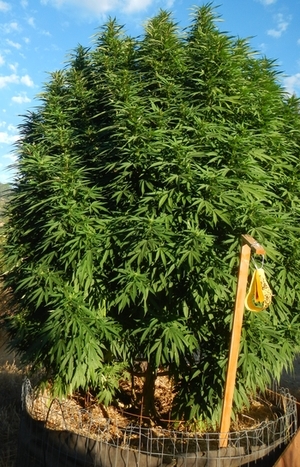 See Video: Transitioning from a Grower to a Farmer by Tom LeRoy. Runoff from gardens, careless use of highly concentrated mineral based fertilizers, leaking septic tanks, and laundry detergent can all stimulate noxious algae blooms downstream. Nutrients can flow directly into a stream or leach into groundwater. Avoiding use of concentrated salt-based fertilizers and switching to living soils and organic methods can decrease pollution risk. Locating your garden 200 feet from any stream makes contribution of nutrients less likely. Many plant pathogens are imported on plant starts from nurseries, so a good way to reduce disease risk is to start your own plants from seed. If your soil is alive with diverse soil organisms, you are much less likely to experience plant diseases. Be careful not to over water your plants because that can promote fungus, root rot and mold. Co-crop with plants that repel pests or attract good predatory insects should also be part of your farm plan. If your garden is in or near a forest, thinning the adjacent stands will lower the humidity and increase air flow, which reduces fungus and mold that can infect your plants. This will also help reduce fire risk on your property and reduce tree evapotranspiration that their competing summer water needs. Legal pesticides include neem, rosemary, cinnamon, and peppermint oils and integrated pest management organisms. Get information about IPM from UC Davis. Remediation buffers downhill of your garden can block nutrient flow to water ways and trap nutrients, making soil within the buffer richer. Planting bunch grasses can slow surface flow and assist infiltration, but a bioswale filled with mulch can trap even more moisture and process nitrogenous waste. Such swales often have enough water to support orchard trees and may even provide a site suitable for dry farming. It is not uncommon for large amounts of spent soil from cannabis grows to be discarded near tributaries of the Eel River. Soil particles have nutrients attached and can add to the nutrient load of the Eel River and contribute to algae blooms. You can readily work spent soil into a compost for next year, or take it to the several locations in Humboldt County that accept spent soil. Gas, diesel and oil are all highly toxic to aquatic life and careless handling of these products around cannabis grows is sometimes a problem. Very small amounts of these substances can kill aquatic invertebrates and can coat the stream bottom, as well as pollute the drinking water supply for downstream neighbors. It is also highly undesirable to have these substances leaching into the soil or being introduced into ground water. 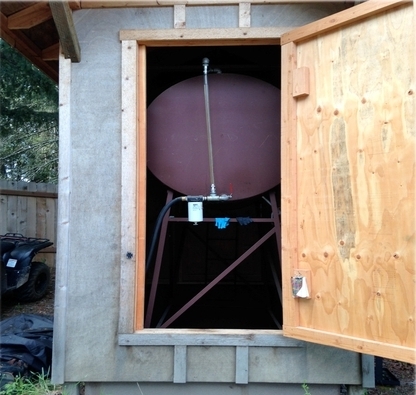 Proper fuel storage dramatically reduces the chances of spills. Fuel tanks should be fully contained in a structure with an impermeable floor lining that prevents escape of any spilled fuel.